In SEO, a lot of discussion concerns the algorithms and technical processes at work. However, understanding how search engines work is only half of what SEO is about. Meeting a user’s expectations – and providing satisfaction – is just as important. This is why there is always a strong emphasis on providing relevant content, answering the original query and, of course, optimising your website to load fast and offer simple, easy navigation. Yet this is something many technical SEO experts are not as experienced in. This is something that is becoming more and more important, especially as machine learning (such as RankBrain) is being developed to prioritise content that matches the users intent beyond simply matching up keywords within the query. 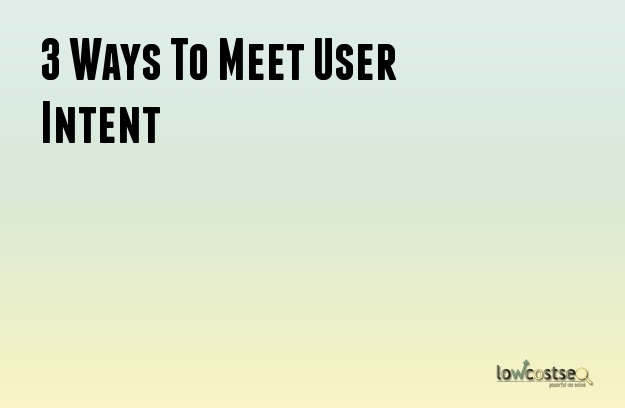 So how can you align your content to meet user expectations? Here are 3 such areas to consider. When a user first searches for something, they are given results in the form of website titles and meta descriptions. While a strong back-link profile can make you visible – moving to the top of the search engine results pages (SERP) – you still need to convince the reader to click through. So, in other words, you have to make it clear you have met the user’s intent. This is achieved through providing a headline that is to the point and some compelling text in the meta description. This, in turn, can be measured through the click through rate (CTR). By changing and tweaking this meta text, you can see if the CTR changes. This may be a slow process – as its essentially a form of A B testing – but this is vital. Before you even begin to meet the user’s intent on your own page, you need to ensure your SERPs listing is just as convincing. The age of keyword stuffing is long dead. Google’s sophisticated algorithms now look for natural text that relates and talks to the reader. Studies have shown that well-written, natural text, rather than purely-SEO optimised copy – gets better results in Google. Why? Because Google considers the quality of the text in its ranking process. While a strong back-link profile is vital for increasing your awareness, Google will still favour similar, rival content if it does a better job of entertaining or informing the reader. By all means, add keywords into your content, but only when they are relevant and natural. If you have to add unusual sentences or go on a tangent just to establish a link, it’s probably not natural. Google is getting smarter and smarter at identifying this, so it is safe to assume any windows or loopholes are getting smaller and smaller already. Finally, as already mentioned, users expect information. If they ask a question, they expect to see an answer. However, it’s also well know that Google favours longer text over shorter copy, so how do you strike the right balance? There is no right or wrong answer, but there are a few ways to work around this. Copy should provide information. If a user wants to know what “the best restaurant in London” is, the resulting answers should have a paragraph explaining this. However, there is still room to then expand with further information, whether its more detail on the original question, or relative data (such as additional restaurants). For more complex information, be sure to use H2 and H3 tags to help break down your content – users can then use this to navigate to the information they want or need. You can even ask more questions (tools like Answer The Public are a great way to generate such questions) and use these in your text. Users and Google will pick up on this – Google’s crawlers may specifically scan this area directly for an answer. When checking if your results work, try tracking the bounce rate. If your bounce rate is low, the content you are offering isn’t meeting your general visitor’s needs. If they’re just finding the one thing they need and leaving, then the rest of the content isn’t providing much purpose.